I must say that things are progressing at the Berry Patch house. and not be too intense about organizing our new spaces. Well, that is what we keep telling ourselves! There is still lots of work to be done. since the Berry Patch House is temporary; however, it is not us. We both need a sense of calm, organization and “pretty”. that we are “two pods in a pea” . . . she gives new meaning to “two peas in a pod” Gotta love her! what better room to start off with than the room as you enter the house. The Foyer. 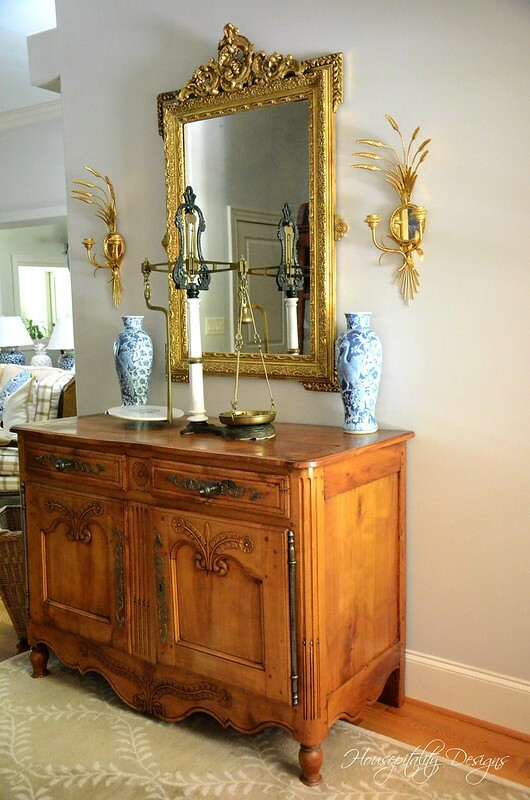 So here is my Foyer Reveal with the Louis XVI Antique Mirror. Just a little post today to update you on what I have been up to. 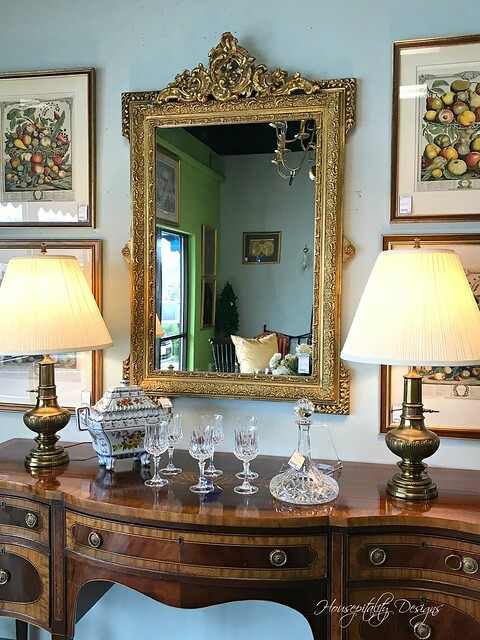 I have two amazing antique treasures to show you. Let’s begin with the one that I found in my favorite shop. Yes, it’s that shop again!!! . . . Always Home in Durham, N.C.
for an upcoming Spring post . . . and then I ran into this: Hello pretty!! !